Is your business, plaza or development looking for Watchfire LED signs or Daktronics LED signs in St. Louis or the surrounding St. Louis areas? Are you looking for a St Louis LED Sign Company to handle your next LED display? SOI Outdoor Sign Company has LED signs and LED displays all over the St Louis area. 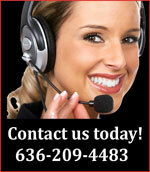 Let SOI be your one stop shop for all your LED Electronic Message Center signs! We can provide both Watchfire LED signs and Daktronics LED signs. LED signs can also be incorporated into existing monument signs and pylon signage. 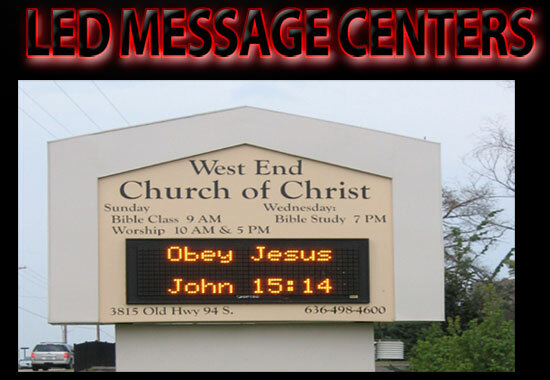 Electronic Message Center signs are the best advertising you can buy. LED Signs are a great way to capture those impulse buys. If a customer is driving buy there is no better way to let them know what sales you are having! Whatever your St. Louis LED signage needs are we can help you! Financing is also available. Give SOI Outdoor Sign Company a call at 636-209-4483 if you are looking for a St Louis LED sign company!